We all know the Toronto Maple Leafs are looking towards the future as they are now rebuilding. We know they will not do well in the standings. So what is there to be excited about in the 2015-16 season? A big part of this season will be looking forward to see where the Leafs will end up in the 2016 NHL Draft. Leafs fans can hope that they end up with Auston Matthews, but there are still more than a few top prospects to choose from. That hope already has fans looking past this season. Next, look at who the Maple Leafs have brought in during the off-season. P-A Parenteau, Shawn Matthias, Nick Spaling, Mark Arcobello, Taylor Beck and Martin Marincin all have one-year deals. If Devin Setoguchi or Curtis Glencross earn contracts in training camp, you can bet that they will also be for a single year. Returning Leafs Nazem Kadri, Richard Panik, Casey Bailey, Peter Holland, Roman Polak, Morgan Rielly, T.J. Brennan and James Reimer are also in their last year of their contract.. All of them, save Rielly, could be had for the right price at the deadline. Sure, some would net the Leafs more in a trade. 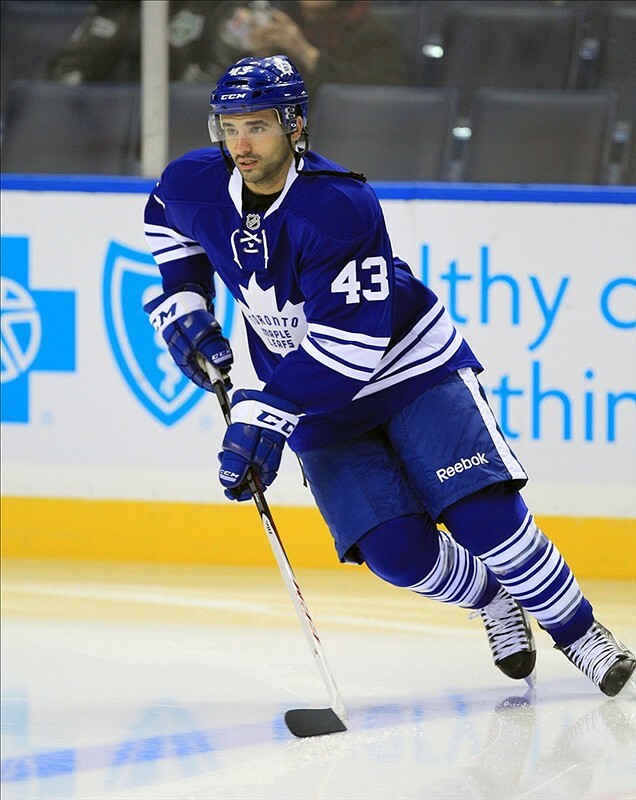 If the Leafs decided to move on from Kadri, they would get a lot more than they would if they were to trade Holland. Polak and Reimer are question marks because they’re value could go up or down depending on the market for defenseive defensemen or goaltenders. Herein lies one of the few things to look forward to in the Leafs season: Who will be moved before the Trade Deadline and what will the Leafs get in return? We know the way that Mark Hunter values the amount of picks he has with the way the Leafs moved to get more picks in the second and third rounds of the 2015 Draft. That means no one is safe. If the Leafs feel they can get a mid-round pick for a player, they just might do it. The Leafs have the prospects that can be called up to take the place of a traded player. The one thing that will make the next few seasons exciting will be when the Leafs top prospects, Mitch Marner, William Nylander, Kasperi Kapanen and Connor Brown, start to play in the NHL full-time. That could have happened this season, but the Leafs have chosen to let them develop in the minors or junior while bringing in stop gaps that could easily be traded away later for more future pieces. While it will be nice to see what they eventually become, the 2015-16 edition of the Toronto Maple Leafs will be very tedious to watch on the ice while what happens off of it will be interesting to see. Here’s hoping that Rielly has a breakout season to at least somewhat improve the former.